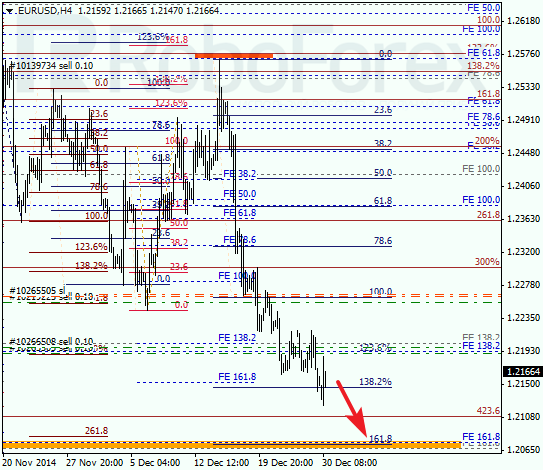 As we can see at the daily chart, there are several retracements near level of 1.19. Earlier, Eurodollar rebounded from local retracement 78.6%, thus allowing bears to resume a descending movement. Possibly, the lower targets may be reached in the first weeks of January. 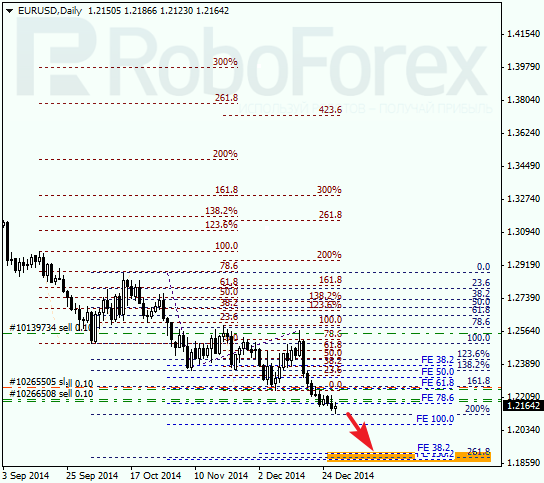 At the H4 chart, Eurodollar is being corrected on its way towards the lower targets. During a local correction, I opened two additional sell orders. The target is still the group of lower fibo-levels. As we can see at the daily chart, Franc is moving close to its highs. It looks like the market may reach the parity level during the next several weeks. After reaching it, the price may start a more serious correction. 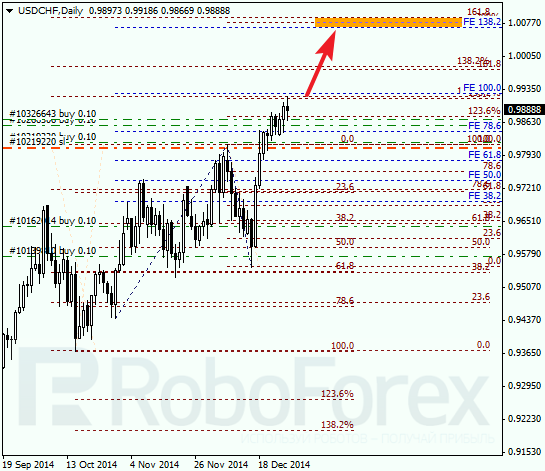 At the H4 chart, Franc has rebounded from retracement 61.8%, which was confirmed by local retracements. The stop loss on my buy order is already in the black. In the near term, the market is expected to continue growing towards its upper targets.